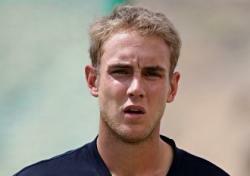 It may seem unfair to single out one player from the England team currently giving India a torrid time. Rarely in test match history, however, can a lone competitor have changed the face of a match as significantly as Stuart Broad just did at Trent Bridge. First he saved England’s first innings by smashing 64. More remarkably, with India set for a big total he then struck back with five wickets for no runs, including a hat-trick. Mentally Dhoni’s men lost before the second day ended. Broad has had as many troughs as peaks for England, but having finally learned to pitch it nearer the batter than his own toes the potential is there to outshine Freddie Flintoff and maybe even Ian Botham as a heroic all-rounder.